Downtown Rutland is on the upswing. Since the summer of 2017, 12 new businesses, multiple art galleries, a revitalized park, two marble statues and even a couple of baby elephants have contributed to the rapid growth that’s occurring in the historic heart of Rutland. A couple enjoys coffee and brunch at The Bakery Annex. If you haven’t seen what’s new for yourself, Saturday, September 29th is your chance to come explore as the Downtown Rutland Partnership hosts a Downtown Open House from 10am – 1pm. Start your exploration in the recently restored Center Street Marketplace Park where you can grab a map from the Partnership staff, then set out to pop into new businesses to say hello while admiring the art that continues to beautify downtown along the way. For the food lover, there are several new options, including The Bakery Annex, an extension of The Bakery, offering a high quality, locally focused, brunch experience on Merchants Row from the chef and owner of Roots the Restaurant. Juice Amour, on Center Street, offers fresh, organic juices, smoothies, salads and more. Across the street, Ruff Life Coffee features a wide range of espresso beverages in addition to breakfast and lunch options along with plenty of baked treats. While up on Strongs Avenue, Big Lenny transitioned from his cart on Route 7, to a well decorated, lively storefront where you can find his beloved hot dogs and sausages for both lunch and dinner. If you want to look your best, Just Threading on Merchants Row specializes in the popular threading hair removal technique while the Downtown Gentlemen’s Salon further down Merchants focuses on providing trendy men’s haircuts in a comfortable, welcoming environment. Unlimited Potential’s store front on West Street. The options for helping you feel your best have expanded as well. Live Love Yoga, located in a brightly lit, welcoming space above Juice Amour on Center Street, is downtown’s first studio centered exclusively on yoga and its many forms. Then, above Hop’n Moose, just a few doors down, you’ll find a long empty upper floor space put to use by Triumph Barre and Pilates, which features barre workouts that incorporate elements of ballet, Pilates and dance. Although the retail sector may have its challenges, two new businesses are successfully serving the needs of niche markets. Unlimited Potential on West Street offers consignment clothing for children and women’s maternity. And Grow Vermont on Wales Street provides indoor and outdoor growing supplies along with a wealth of growing knowledge to its customers. The addition of services available in Downtown Rutland has also grown. Betsy Franzoni Real Estate opened an easily accessible office on Center Street while Horizons Early Learning Center on West Street now provides preschool opportunities for three and four year old children. After checking out the open house on the 29th, stop by Vermont’s largest farmers market located in Depot Park. It’s the perfect time to stock up on the locally grown harvest. Big Lenny, owner of Big Lenny’s Inside Job, smiles at the counter of his establishment. 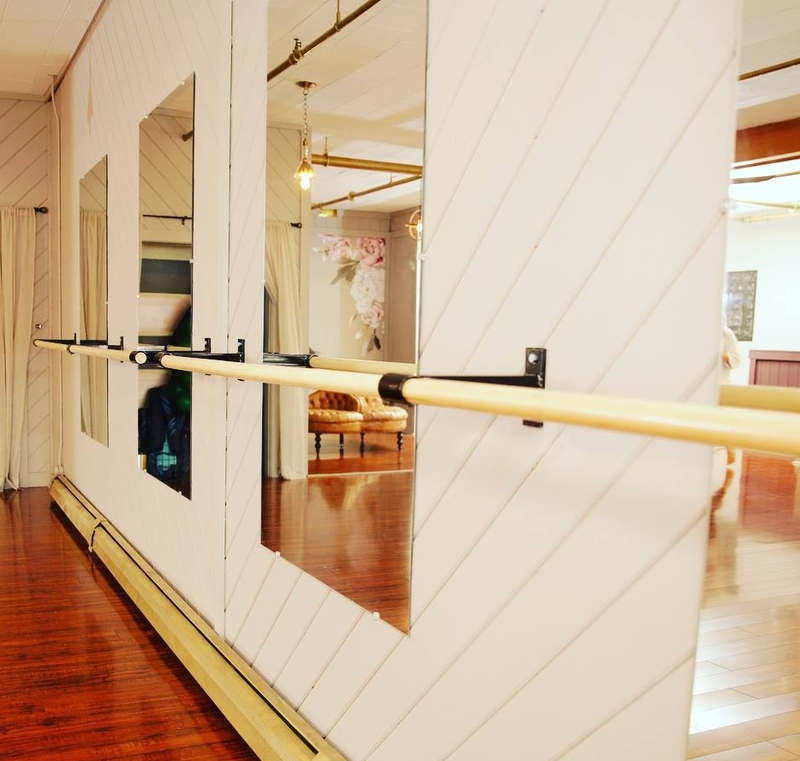 A view of the barre at Triumph Barre & Pilates Studio on Center Street. A selection of organic juices at Juice Amour-Rutland. A view of the interior of Ruff Life Coffee on Center Street.